Many of our patients here at Beckham Dental came to us with dental anxiety. It's a common issue and one that we take very seriously. At our Cave Creek, AZ dentist office, we have invested time and money to make sure you are comfortable and at ease as soon as you walk into our dental office. We have comfort options as well as longer appointments, and. if you need a little more than the natural remedies we offer, we have dental sedation to keep you completely relaxed. 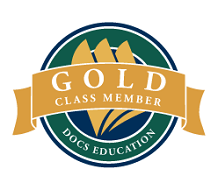 We are a proud member of DOCS Education. This is the best organization I have ever been a part of. They have provided the advanced training necessary to educate us in the field of Sedation Dentistry. They also provide regular updates regarding medication changes and patient case scenarios. This allows us to confidently offer this special service to you. * Click here to learn more about DOCS. Most people that don't go to the dentist stay away for one reason: fear of pain. Even those of us who have regular dental checkups and keep current with our care suffer from varying degrees of anxiety prior to our appointments. None of us need to suffer this way anymore. Now a simple regimen of oral medications combined with the use of nitrous oxide can change your dental experience with us forever. The medications are extremely safe to use and not only have a calming, sedative property but also virtually eliminate any pain perception by the patient. Implementing this service in our office has truly changed the lives of countless people. For us, it's nice to work on people that are relaxed and actually looking forward to seeing us. It's a win-win situation. Click here to learn more about a comfortable experience at the dentist - Your Comfort is Key!